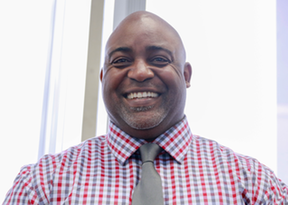 Vincent began his career at the Department of Public Utilities in 1992 as an engineer. For 14 years he served in that role, managing and planning the preventive maintenance and capital improvement projects concerning water and wastewater treatment plants, as well as the combined sewer system. Vincent has served in numerous leadership roles, including as Operations Manager of the Roadway Maintenance Division, Interim Director of General Services, and Chief of Construction and Inspections. Most recently, Vincent served the Department of Public Works as the Deputy Director of Operations. In this role, Vincent oversaw the Divisions of Solid Waste, Grounds Maintenance, Urban Forestry, Roadway Maintenance, Street Cleaning and CIP Paving. Long overdue and well-deserved appointment.